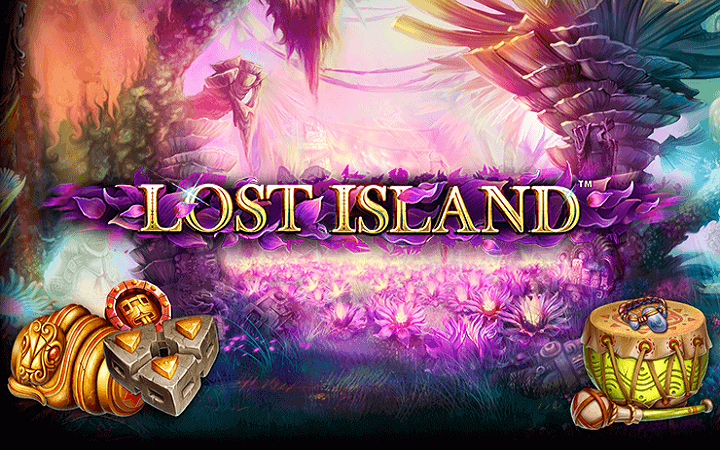 Are you ready to explore a forgotten island and uncover the riches buried deep? Follow the footsteps of a mysterious tribe, deal with prehistoric devices and get rich – sounds too easy to be true! Lost Island casino slot game by NetEnt online slots contains advanced graphics and animations, the overall look of the game is near perfect. You can try the free slots no download version of the game if you play at Casino Avenue – we have thousands of beautiful slot games like this. Lost Island online slot game by NetEnt has 5 reels and 20 pay lines. There are 10 symbols in total and five of them are high-valued, consisting of pictures of ancient devices and jewelry. The maximum payout of the symbols is 500 coins. The rest, low-valued symbols are in shapes of numbers and letters. The game has wild and scatters as for the special symbols. The wild symbol looks like a purple flower and can appear on any reel. It substitutes all other symbols –except scatter- and does not have a separate payout value. During the free spins, wild symbols also raise up the multipliers, each wild is counted as x1. They can raise the multiplier values up to x5. (You can see which multiplier is active from the upper right side of the screen.) Scatter symbol is shown with a picture of a golden tortoise. If you manage to land three of them anywhere on the reels at the same time, free spins are activated. At the beginning of free spins, a wild symbol is placed on to the third reel and stays there until the feature ends. Wild symbols also gain the stacking feature during the free games and raise your potential payout to a total of 500.000 coins. As with many NetEnt games, Lost Island also has a coin value range of 0.10 to 0.50 coins. 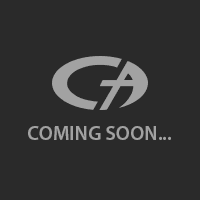 The maximum bet amount is 200 coins and you are awarded 10.000 coins in the demo mode, so there is no need to worry. If you like to play casino slots online with impressive graphics and multi-feature symbols; give Lost Island a go – you won’t be disappointed.